Amazon's Prime Day is almost here. Deals start July 16, 3pm ET and run through July 17. 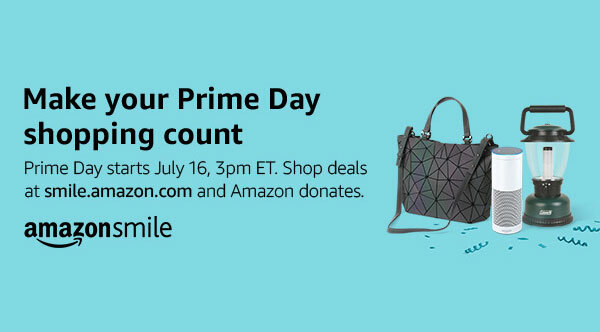 Prime Day is one of the biggest shopping events of the year and a great time to remind your supporters to shop at smile.amazon.com and Amazon will donate to Childrens' Smile Foundation. This is a great opportunity to increase Childrens Smile Foundation's AmazonSmile donations by reminding your supporters to shop at smile.amazon.com. Go to smile.amazon.com/ch/20-0501832 and Amazon donates to Childrens Smile Foundation.